Summer is right around the corner and for the boys that means camping trips, sleep overs and lots of fun and exciting things to do. But the extra beds or a comfy place to sleep can be hard to find. 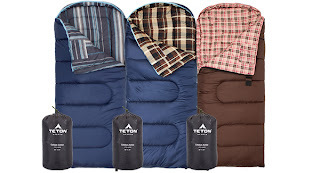 While I was on the search for some sleeping cots, I came across TETON Sports and found some really “manly” sleeping bags. Now please understand, if I say cute, which is what I really mean, then the boys will think they are girlish or not for them because nothing can be cute at their age. So on with the “manly” sleeping bags. 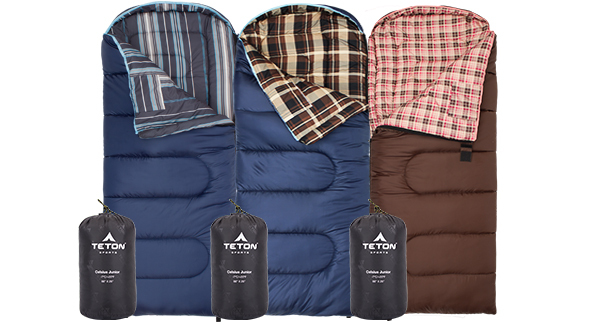 From TETON Sports we received a Celsius Jr.Boys Sleeping Bag and the quality for a children’s sleeping bag is far beyond expectations. Being over 5 feet long, the bag will should fit my monsters well into their teenage years, (hopefully) and being lightweight its easy for them to roll up on their own. One thing that really surprised me is the temperature rating, -7* C/+20*F. Ok, it may just be me, but I’m not camping anywhere when its 20 degrees out. But at least I know if the boys have a scouting trip in the winter, they will be warm. With summer right around the corner, I encourage you to check out TETON. A sleeping bag on the hard ground isn’t my first choice for sleeping arrangements but the kids like camping so it will have to do. Now to just break up the fight over who gets it because both Jeramiah and Maison liked this one! 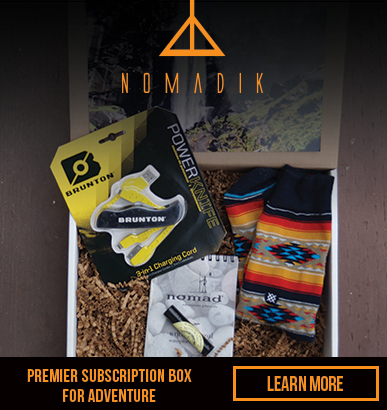 TETON SPORTS Ships to the lower 48 states. we're going on our first camping trip with our 4 year old twins to so this is so great to win te sleeping bags. yosemite n.p. is our first trip. thanks so much. Camping and always slumber parties.. Unfortunately, due to lack of $, we don't enjoy much that requires a sleeping bag. I'd like to get this for my son, so that we CAN do more outdoors, once it warms up. Maybe he can use it to sleep in at one of his grandparents' houses, Idk. Camping, sleepover parties and camping in our backyard. A sleep-over for the kids . just what you need on those cool nights out in the woods with your girl, you only need one. this would be great for sleepovers. We could use this for camping!! to say that this wrіte-up verу pгessured me to сheck out anԁ dο so! Yоur ωгiting style haѕ been аmаzeԁ me. famous blogger for those who aren't already. Cheers!